Mix sugar, salt, cinnamon and water in a pan on medium heat and whisk for 1 minute. Add pecans and mix them, coating them as best you can, for 2 minutes. Grease and flour a 10″ bundt pan. In a bow, beat the butter until creamy and then gradually add the sugar, mixing well. Add the eggs, one at a time, mixing well after each. Heat cream in microwave about 30-40 seconds till almost but not quite boiling. Pour over chocolate. Let sit one minute and then stir until smooth. Decorate with the pecans if you wish. 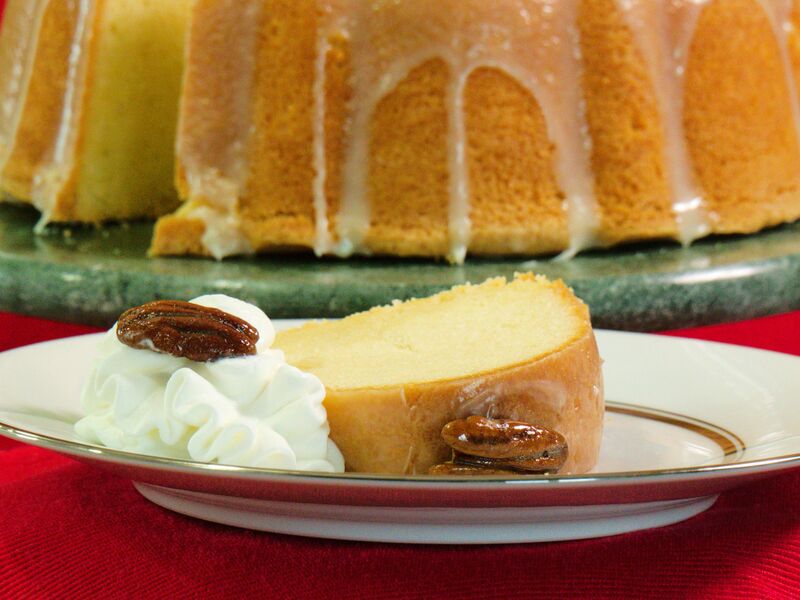 This entry was posted in Recipes, Videos and tagged Cake, White Chocolate. Bookmark the permalink.